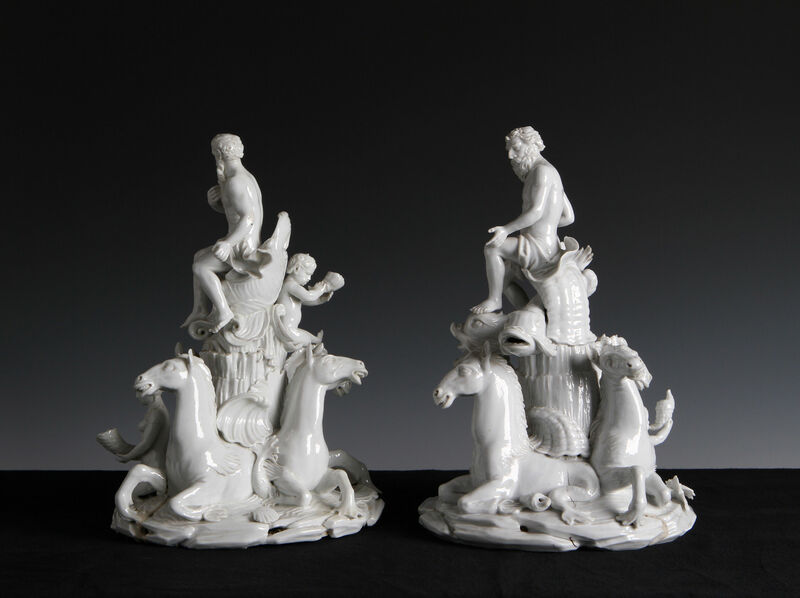 Each group with a figure of Neptune seated above four hippocampi, one figure supported on three dolphins with a trumpeting Siren, the other on shell throne with two trumpeting Sirens. 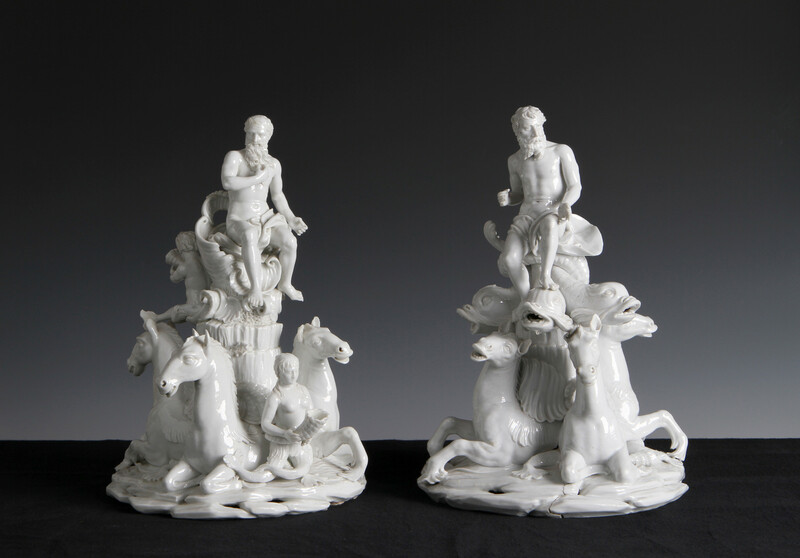 We have found six other somewhat related Cozzi figure groups, none identical, and it is possible that they formed part of a large surtout de table. For instance the Metropolitan Museum of Art, New York, has a figure of Fame blowing a trumpet on a base similarly supported on hippocampi. The subject would have been most appropriate for maritime power such as Venice. The factory list of 1783 records Nettuno Mezan e Cavalli marini. 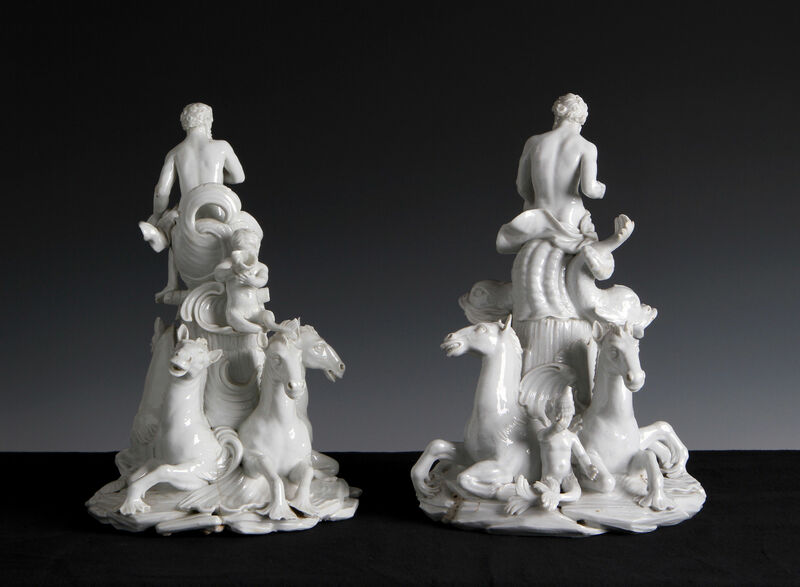 The sculptor Filippo Tagliolini is known to have worked at the Cozzi factory before moving to Vienna and ultimately Naples where he achieved fame at the Royal factory; it has been suggested, without proof, that he might be responsible for these pieces. 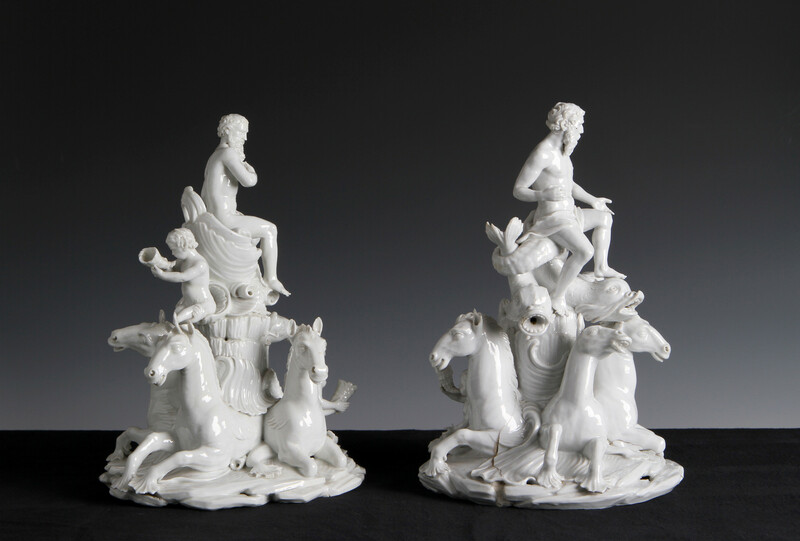 We consider these to be amongst the finest Cozzi figure groups to have been on the market in recent decades. These are in remarkable condition with no restoration. The tip of one ear of a hippocampus is missing. 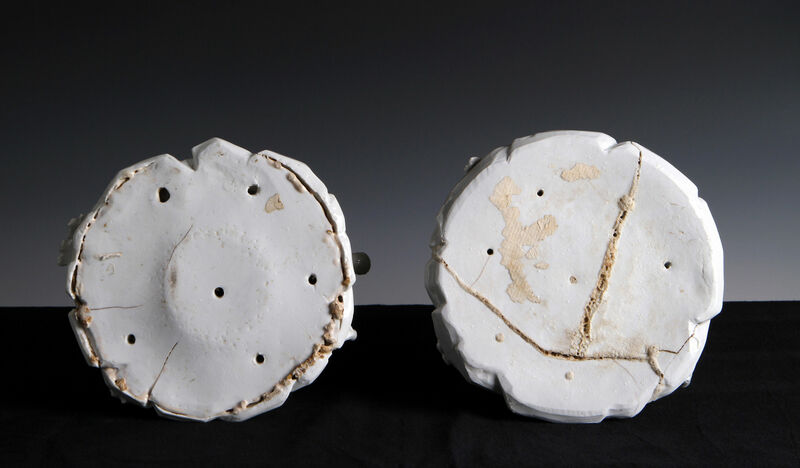 Original firing cracks. The colour of the paste differs slightly (as is typical of Cozzi).